Saudi authorities will by November scale up petrol and jet fuel prices, two years after removing government subsidies on price of fuel for cars and other vehicles. The decision will mean increase by 80 per cent of octane 91, from $0.16 to $0.30, reports say. 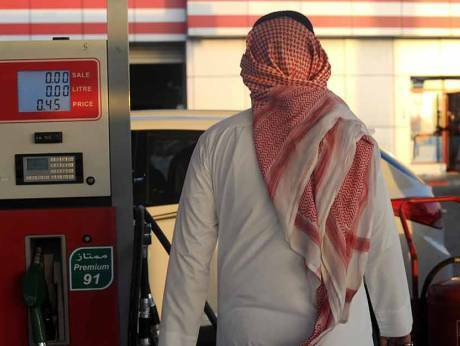 A final decision on the fuel price increase is expected to be made this month or next month, online media Gulf Business reports citing Saudi sources. The increase will not be subject to any further hike while prices of other fuels will be increased gradually and this by 2021, reports say. Saudi Arabia is seeking to bring up vehicles fuel prices to the level of international prices. Electricity rates will be obviously reviewed gradually with fuel price increase. The latest increase of fuel prices in the Kingdom dates back to December 2015. The power house of the Gulf region, which has been experiencing economic hardship due to the fall of oil price, has embarked on diversifying its economy. Riyadh reportedly is poised to apply for $10 billion loan from the International Monetary Fund (IMF). Written by: Jaber Ali on September 18, 2017. Posted by Jaber Ali on Sep 18 2017. Filed under Energy, Headlines. You can follow any responses to this entry through the RSS 2.0. Both comments and pings are currently closed.